Did you know you can get the M&A Advisor Network on your iPhone or mobile device? 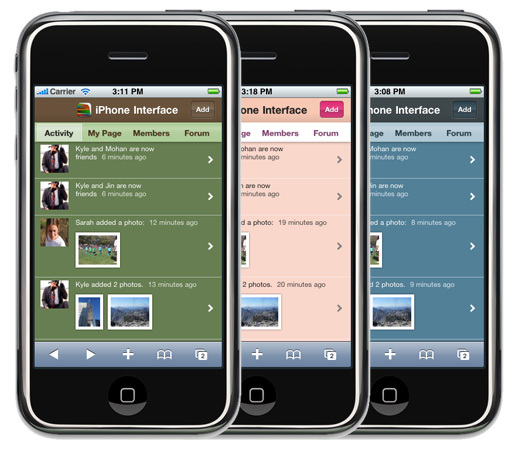 Keep up with the activity, start a discussion, upload a photo, invite contacts, browse your friends, search the Users -- all from your mobile device. Did you know you have the ability to create and join groups as a user of the M&A Advisor Network? Login and click on the Groups tab and take advantage of one of the most powerful networking tools for M&A, financing and turnaround professionals! Roger's Corner: Is It Time to Sell? With inflation on the move, the immediate future of futures uncertain, and inconsistency in oil prices the markets opened lower today. In large M&A news, Bank of America is poised to complete its purchase of Countrywide for approximately $3 billion. Yet middle-market M&A deals here in the US still remain off from the 2007 high. Despite cheap money the US economy continues to wobble as we enter the second half of 2008, impacting middle-market M&A deals directly. Roger's Corner - May 2, 2008: Is 2% a Saving Deal? How many rate cuts does it take to stimulate growth? The answer to that question remains to be seen. Yet this Wednesday the Fed cut rates again for the seventh time. The overnight lending rate is now at 2%. So, is two percent low enough to revise or save pending middle market M&A deals? The markets answered this week with no reaction. To check your messages on www.maadvisor.com, sign in and click the envelope icon located on the top left bar, the thin colored strip that appears at the top left of the page. A panel will then drop down where you can compose messages and read messages you’ve received. was pulled by many passions.